Not to be dramatic, but digital marketers today live and die by the tools of the trade. Modern marketers are expected to be a million places at once. Whether we’re digging through data or fine-tuning our social presence, relying on the right digital marketing tools means saving time and maintaining our sanity. We’ve set out to put together a list of tools that are valuable to marketers of all shapes and sizes. After all, no two marketing teams are created equal. 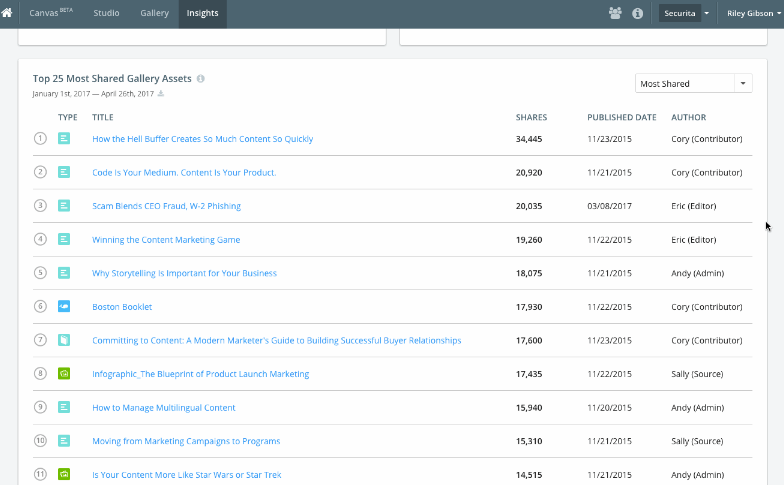 It doesn’t matter if you’re on a pint-sized team or you’re looking for enterprise-level digital marketing tools–this all-inclusive list has you covered. To make it easier to navigate to the products you need we’ve added the jump links below. Please note that the ordering below is simply to organize the tools and is not indicative of preference. If we had the time, we’d use them all. As of September 2017, Facebook has over 2 billion monthly active users, Twitter has 320 million and Instagram has well over 700 million. With so many people spending so much time on social, it’s becoming one of the most important channels for brands to leverage. That’s why social media management tools have become the staples of companies both big and small. You can’t really blame us for talking up Sprout first, can you? While Sprout Social may be behind this massive list of digital marketing tools, we’re also some of the biggest users and brand advocates of the companies noted below. Sprout is a social media management and engagement platform for business that makes it easy for brands to effectively engage with current customers and prospective customers. We believe Sprout’s features and functionalities can speak for themselves: give our free 30-day trial a shot today. 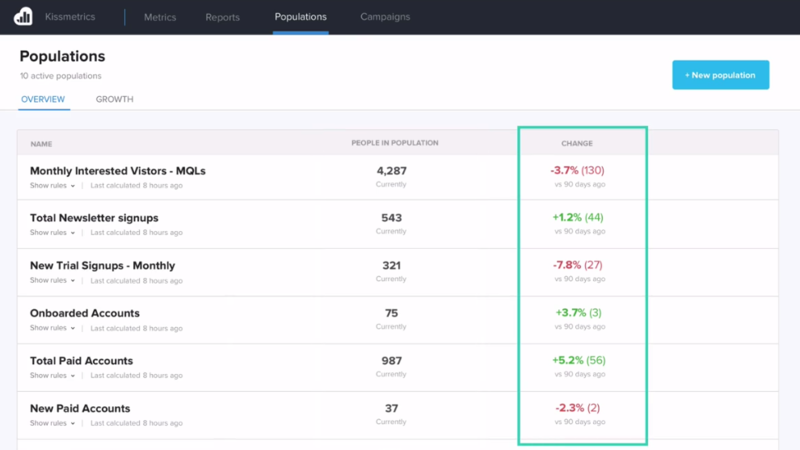 Wyng (formerly Offerpop) is an engagement marketing platform with a focus on garnering engagement via user-generated content, hashtag campaigns, referral programs, quizzes, contests and more. They’re focused on transforming the way that global brands engage and convert today’s mobile and social consumers. 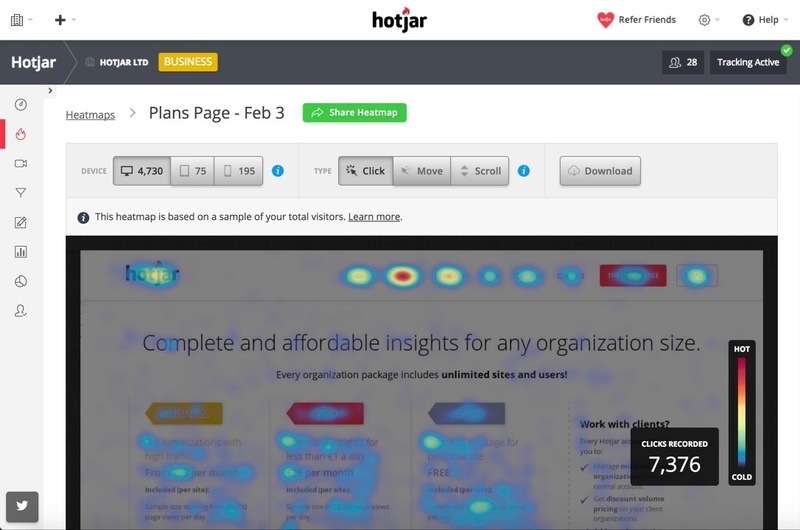 Additionally, their platform boasts a built-in analytics dashboard that monitors the performance of any given campaign. Similar to Wyng, Woobox is a social engagement platform that emphasizes interactive content. The platform is perhaps best known as a turnkey solution for running social giveaways and competitions, Instagram contests in particular. From curating #hashtag entries to selecting winners at random, WooBox takes much of the legwork out of running a contest or giveaway via social. The power of social sites goes far beyond organic reach. Paid platforms can get your brand in front of large groups of active users that you’d otherwise be unable to reach. The major social networks have so much data on their users that targeting can become extremely granular and effective, making social an ideal place to pay for impressions. 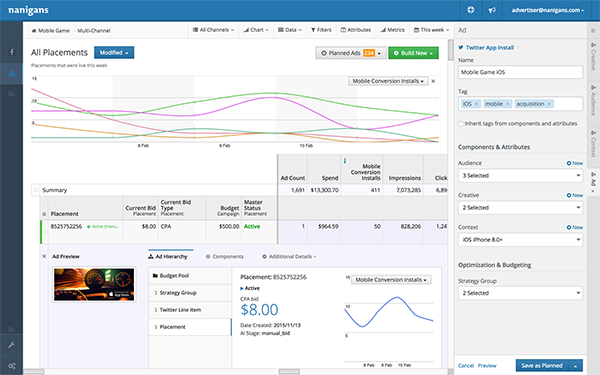 Nanigans is a multichannel advertising software with an emphasis on Facebook marketing. Its software has access to the Facebook Exchange (FBX) for retargeting and a plethora of other tools that make targeting more efficient. Beyond Facebook remarketing, the platform boasts features focused around Twitter ads and Instagram growth as well. Nanigans is the tool of choice for companies such as Zynga, Wayfair and Rovio. The Power Editor is Facebook’s own tool for creating and running hyper-specific advertising campaigns. 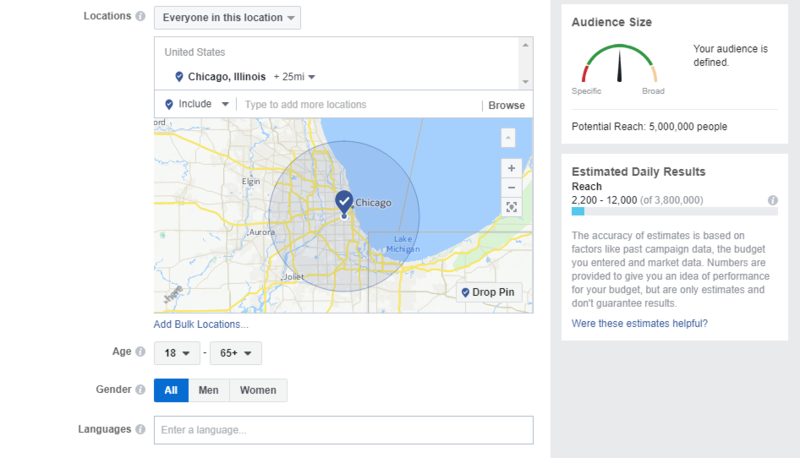 Facebook is constantly improving its ad platform, and the tool frequently releases new targeting and budgeting features for users. For marketers just starting on the paid social front, this is easily one of the best digital marketing tools with no third-party fee to create and manage your advertisements. 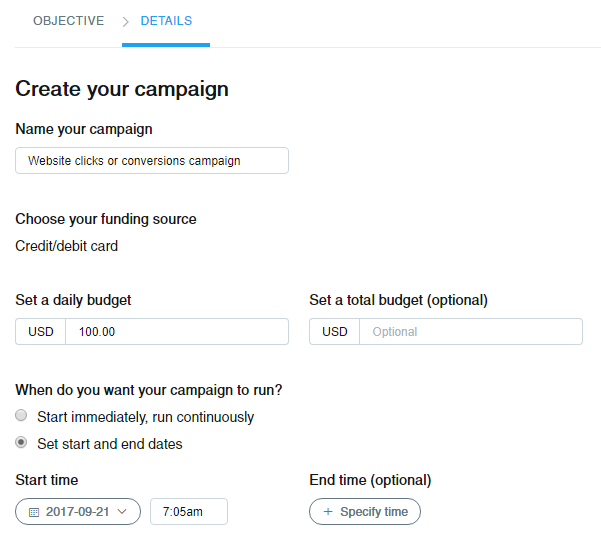 The platform’s detailed parameters ensure that you target exactly who you want; meanwhile, you can also set limits to avoid blowing out your budget. Twitter is another major network brands should consider paying to advertise on. Twitter has some fantastic features for targeting, with segmentation functionality that includes the ability to target certain keywords so that whenever someone Tweets out, or engages with a Tweet, using that key phrase they’ll be targeted. The platform is especially useful when targeting mobile users, as 86% of Twitter’s ad revenue came from mobile in 2015. The first email was sent way back in 1971, so it’s kind of strange to think of how big a part it still plays in digital marketing at large. Despite being old-school, email is easily one of the most effective marketing channels in terms of ROI. Email usage continues to grow approximately 4% year-over-year and has no signs of slowing down anytime soon. MailChimp represents an absolute giant within the email marketing space, with over 250 billion emails sent by its users last year. The beauty of MailChimp is the platform’s usability and sliding price tag based on the size of your email list. In particular, their “forever free” plan is perfect for smaller marketers looking for an introduction to email marketing. If you’re new to digital marketing tools or email in general, MailChimp represents a great starting point. Emma—which is actually an abbreviation for email marketing—is a robust platform that backs up its powerful features with a notoriously hands-on customer service team. Emma has all of the tools that you need to start creating and testing your own email marketing campaigns. If you’ve dabbled with some email platforms and feel ready to take it to a more advanced level, Marketo could be the solution for you. 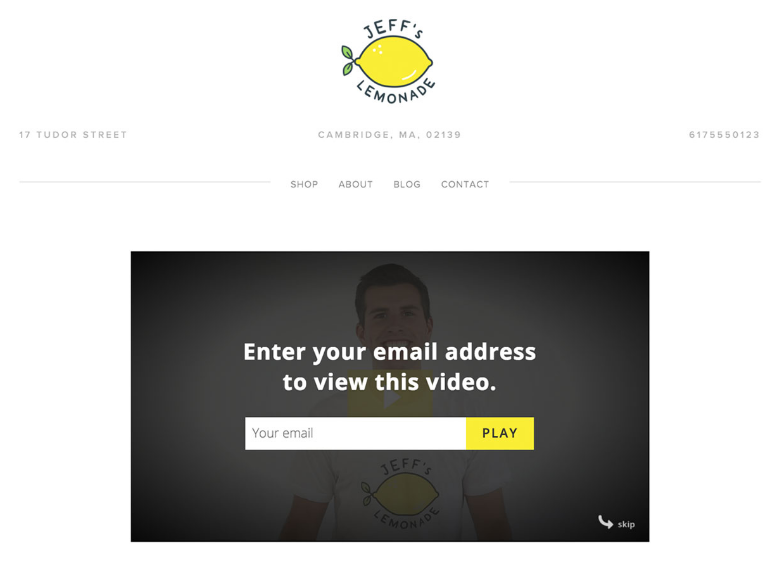 Although email is a huge facet of its business, it is by no means the only part of the tool. This makes Marketo ideal for those in search of all “all-in-one” weapon for their marketing arsenal. Marketo emphasizes automation as part of its suite of digital marketing tools, with email marketing as a major piece of that puzzle. 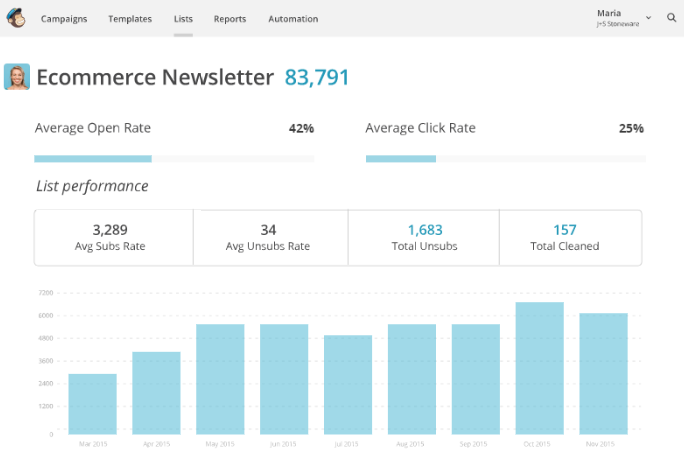 GetResponse’s unique email marketing platform stresses the growing trend of automation. This solution analyzes specific trends and behaviors from your list to trigger specific messages and autoresponders instantly. The end result is a smarter email marketing presence and a more engaged list. Ads that “follow us around” from sites we’ve visited or shopped on have exploded in popularity over the past couple of years. These are retargeting ads, and even if you haven’t heard of them by name you’ve certainly been targeted by them in the past. Retargeting is incredibly efficient for getting customers back to your site to make a purchase or become a lead when they otherwise would have been bounced traffic. 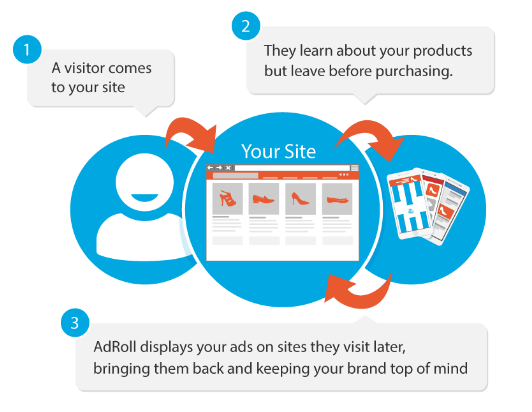 AdRoll is one of the most well-known names in the retargeting space, boasting a customer base of over 35,000 advertisers. Its platform grants access to over 500 ad exchanges, which includes most of the major social media networks. It offers a self-service platform, but you can also leverage its employees for additional help if you need it. The success stories behind many AdRoll users are absolutely insane, with reports ranging from a 35% lower CPC to a 265% lift in sales in some cases. ReTargeter is a diverse tool that uses site retargeting, search retargeting and dynamic retargeting. You can use ReTargeter as a self-service platform or you can pass all of your campaigns onto an account team to run your retargeting for you. You can use these search services à la carte or combine several into a custom package. The platform emphasizes use for ecommerce brands given that the ReTargeter has access to consumer behavioral data of over 150 of the web’s top retailers. Programmatic advertising refers to the use of software to automate the purchase of media from both online and offline channels. In other words, ads are purchased and displayed automatically based on data. Two of the largest benefits of using programmatic media buying solutions is you can reduce the time you spend finding the best networks to advertise. Secondly, you gain access to the plethora of data that most of these companies have access to. ChoiceStream’s technology is able to process a ton of audience data and discern which of it is actually useful knowledge for brands. ChoiceStream then uses that information to properly target ads to your audiences it knows will be a good fit, boosting the relevance of your ads to your targets. 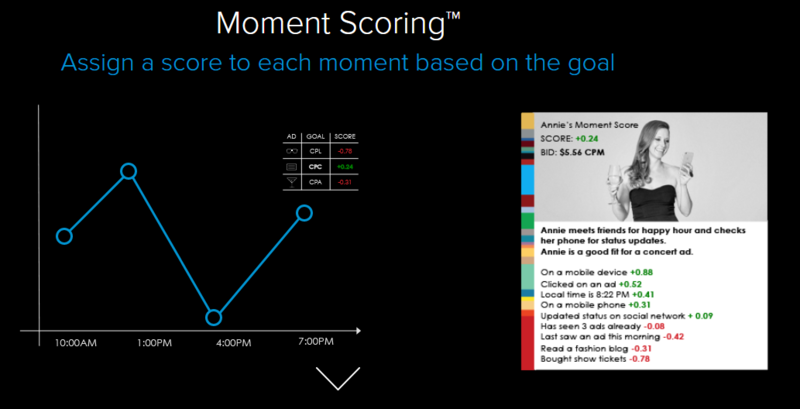 Rocket Fuel is a popular tool with a feature called “Moment Scoring” which sets it apart from the competition. Moment Scoring assesses anonymous user data to calculate how likely someone is to respond to your advertisement and then uses that information to decide when and where to serve your ads. Rocket Fuel offers both a self-service platform and managed services. Simpli.fi differentiates itself from other tools by taking complete advantage of unstructured audience data. This means that–unlike some other tools on the market–Simpli.fi doesn’t need to rely on pre-made audience segments to categorize audience data. This be a big advantage when working with a lot of data. The smallest changes can make the biggest difference when it comes to getting people to convert on your landing pages. Just changing the color of your call-to-action button can spell the difference between scoring a free trial sign-up and someone bouncing. Among the digital marketing tools in your toolbox, anything that helps you test or optimize your site for conversions is a major plus. 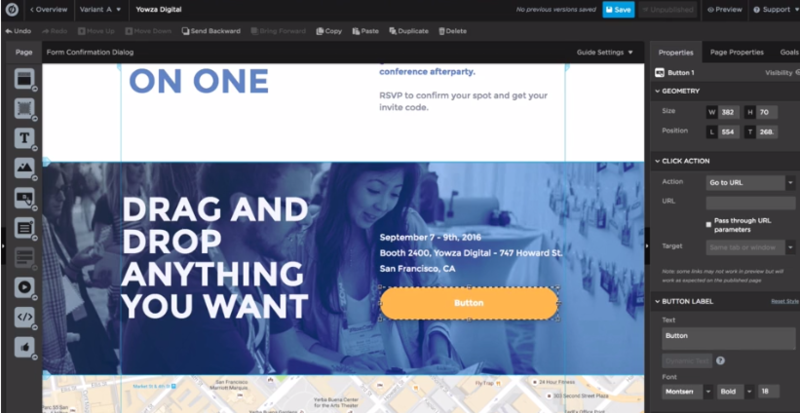 Unbounce is an amazing tool for quickly building, tweaking and publishing new landing pages to test. One of the most fantastic features of Unbounce is how easy it is to use the platform to create brand new pages. Even if you’re not much of a designer, you can use some of the templates available as a jumping off point, then tweak them to fit your style. Maxymiser is a tool that goes far beyond the realm of landing page testing. This enterprise-level software solution was built to test multiple aspects of any given site and to run several different tests simultaneously. Maxymiser also allows you to segment who you want to send to each test, creating a more catered experience for your website visitors. 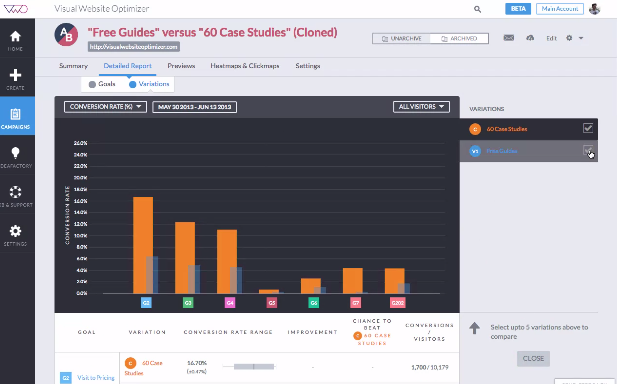 Optimizely combines tools for visual creation and robust targeting into its platform, making it easy to quickly create and target tests to the proper groups of users. The company also has a formidable amount of partners to make it easier to centralize customer data for your various tests. Even though the mantra of “always be testing” has become a bit cliche, there’s no denying the importance of A/B testing any given page of your site. Visual Website Optimizer streamlines the process by allowing you to quickly play with elements of your pages such as headlines and images to generate multiple versions of your site for visitors to land on. Coupled with a powerful analytics platform, you can quickly see which version of your site is the clear winner in terms of clicks and conversions. Video content is on track to take over 80% of all web traffic by 2021. As a result, video has become a marketing must-do rather than an “extra” or secondary channel. With much effort needed to create and publish videos, it’s important to make sure you get as many eyeballs on them as possible. A solid way to do that is to host them on some of the popular video platforms which draw in large crowds of viewers beyond YouTube. Sprout has worked with Wistia on content in the past and the company is such a fantastic group of individuals. Not only does the team rock, but the platform is amazing for brands looking to host, customize and share videos across the web. One of the best functions of its platform is the ability to include a custom CTA at the end of each individual video, making it easy to drive viewers to specific pages. There are over 35 million people and businesses that trust Vimeo to host their high-definition, ad-free videos. With Vimeo, the concept is to get everyone to host some of their high-quality videos on the site, thereby driving viewers who are looking for visually stunning videos. Take a look at the sample below to see the type of quality content they collect. A great way to make sure your online content stands out is to include an image, but sourcing images that satiate the unique requirements for each social network can be tough. 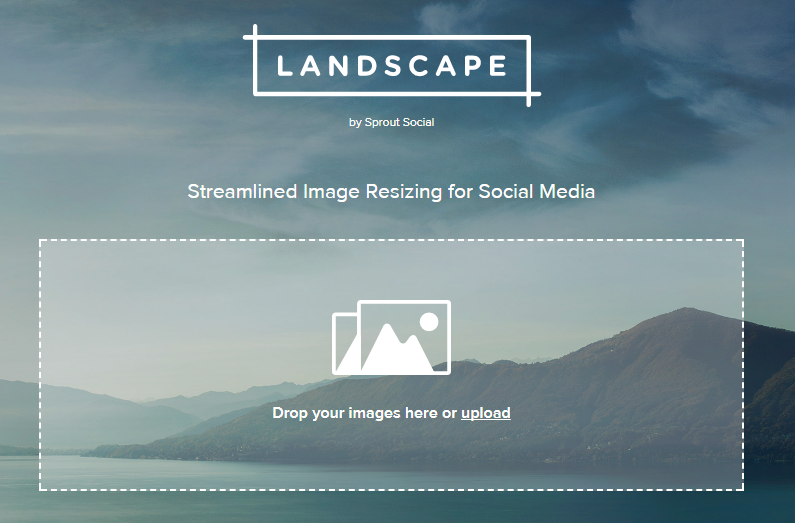 We aimed to solve that problem with our new social media image resizing tool known as Landscape. Quickly turn one image into multiple, each perfectly sized for the social media networks you’re using. Canva is a free, web-based design tool you can use to create unique images to share on your blogs, social networks and beyond. You can use Canva to create completely unique images from scratch or to polish up some photos that you already have on hand. If you don’t have the time or artistic flair to create your own pieces of content, then you can use a tool like Visual.ly. Visual.ly is a platform that pairs those who need content up with those who can create it. The site charges a flat rate for each type of project, which includes Infographics, e-books and video. Marketers constantly need to fill their content calendars if to keep up with the competition and reach as much of their audience as possible. However, we don’t always have the time to put together something unique for every single post we create. That’s why it’s good to have some content curation tools on hand to help you fill up those gaps and keep your fans satisfied. Scoop.it is an awesome tool for easily finding and sharing unique, relevant content to your social networks, blogs and more. With Scoop.it you can find months worth of great in no time flat. Kapost is a platform that takes into account every step of the content marketing cycle. One fantastic function is the ability to assign different pieces of content different buyer personas, which shows which stages of the content marketing cycle your prospects are most likely to convert on. Most digital marketing tools out there have built-in analytics, right? 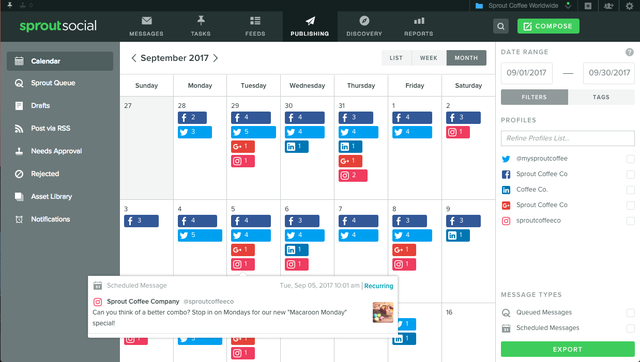 For instance, Sprout Social has social media analytics that show how your content performs on a variety of social platforms. However, it’s important to keep an eye on the data about events that actually take place on your website from clicks to conversions and beyond. Kissmetrics offers analytics tools that help you increase conversions across your entire website. The platform tracks your site visitors throughout their entire conversion journey and gives you reports on each part of the funnel. This helps you fine-tune your entire conversion process to increase sales and revenue. Google Analytics is the gold standard for most websites these days. Google has advanced analytics that shed light on a variety of your website information, including who your visitors are, how they make their way through your sales funnel and what they do on your website in real-time. Adobe provides an enterprise-level analytics solution for companies who want to gather deep analytics on their website data and performance. The platform has cross-channel attribution functions, 360-degree customer analysis and predictive intelligence which enables you to observe and respond to customer actions in real time. 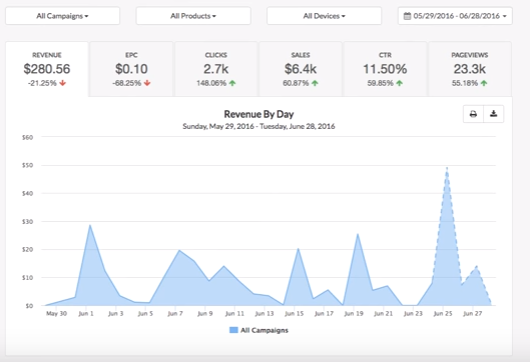 Woopra is an analytics platform that’s specifically tailored for ecommerce businesses. 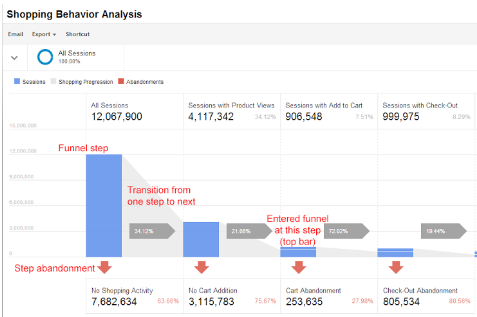 Looking to help battle the problem of cart abandonment, Woopra analyzes each step of your site’s checkout process to determine where visitors are dropping off and which traffic source is the most valuable in terms of checkout success. Given that we live in a call-out culture, customers are turning to online channels to reach out to brands with their inquiries and complaints more than ever. If you’re not there to engage with these customers it reflects poorly on your brand, and you could potentially lose their business forever. Consider one of these customer service tools to streamline your customer service process and to ensure you’re responding to all of your inbound messages. Zendesk provides a full suite of tools that can get your support team up and responding to all of your customers’ needs. 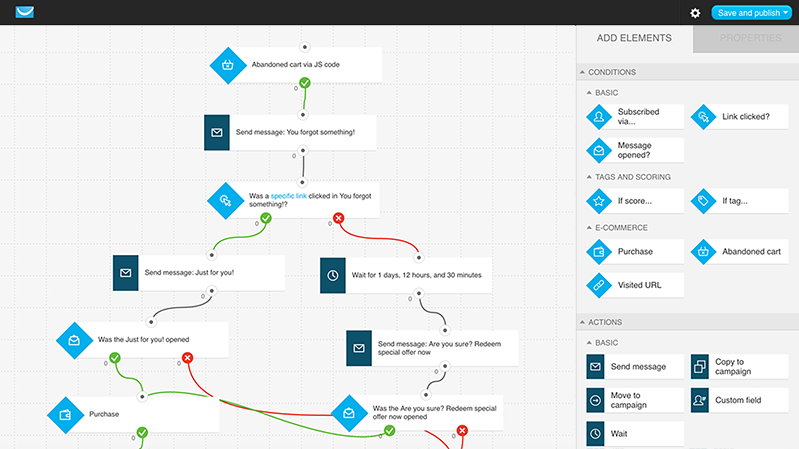 The platform aggregates all of your communication channels into one place, which makes it simple to respond to your emails, phone calls and chats. Zendesk also integrates with Sprout, which streamlines your social customer service efforts. 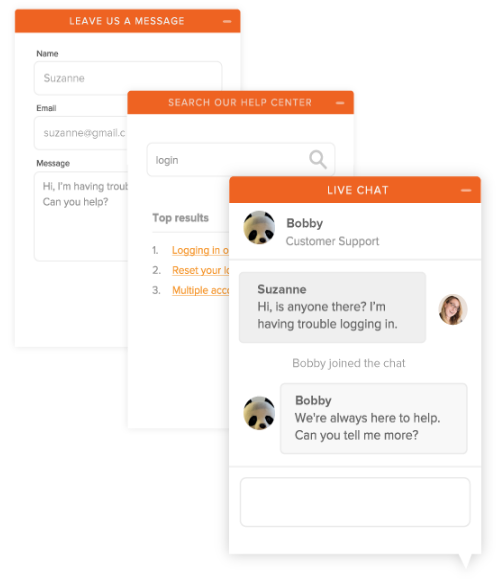 LiveChat takes a more proactive approach to customer service by facilitating conversations with the people visiting your website. 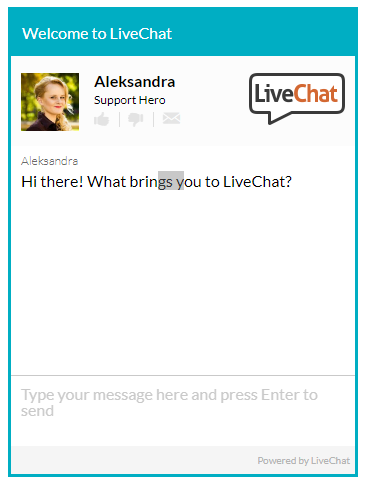 The passive chat box that lives on your page lets your potential customers reach right out to some of your service reps, helping you effectively answer questions and inquiries. Moz offers two key products to customers: Moz Pro and Moz Local. The Moz Pro product helps with the classic SEO practices, such as tracking rankings, monitoring link building efforts and informing content marketing campaigns. Moz Local helps businesses improve their local SEO listings. All you need to do is enter your business’s location information and Moz goes to work getting you listed. 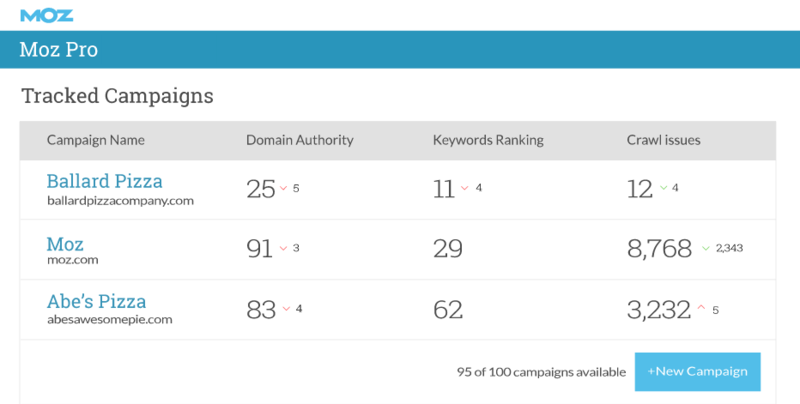 SEMRush has a ton of built-in digital marketing tools that help both paid search experts and SEOs track and improve their search rankings. One key use of SEMRush is to track your competitors. You can use the tools to pull your competitor’s backlinks, monitor their fluctuations in ranking and conduct a full competitive analysis. Screaming Frog is a spider tool that can quickly crawl websites, lists of websites or specific web pages to give you a complete analysis on their performance. You can use the tool to see if you have any broken links, broken pages, bad redirects and much more. Fixing most of these errors is a quick win for search marketers. The concept behind affiliate marketing is simple: allow others to sell products on behalf of your brand by becoming affiliates. In turn, all you have to do is pay them a percentage of every sale that they generate. It can be an effective channel because people tend to trust friends and brand advocates more than they trust a company when it comes to selling. Plus, there’s a safety net involved as you only pay for the sales that those people generate. VigLink is an incredible tool for affiliate marketing. The site has a massive database of content provided by publishers which they scan in real-time and add links to relevant keywords they find. The use of this type of contextual advertising makes it much easier to drive sales. Rakuten is similar to VigLink, except that it advocates long-term relationships between brands and their affiliate. Long-term relationships with your partners helps to build trust and knowledge of your product, which in turn makes it easier for those individuals to sell it. 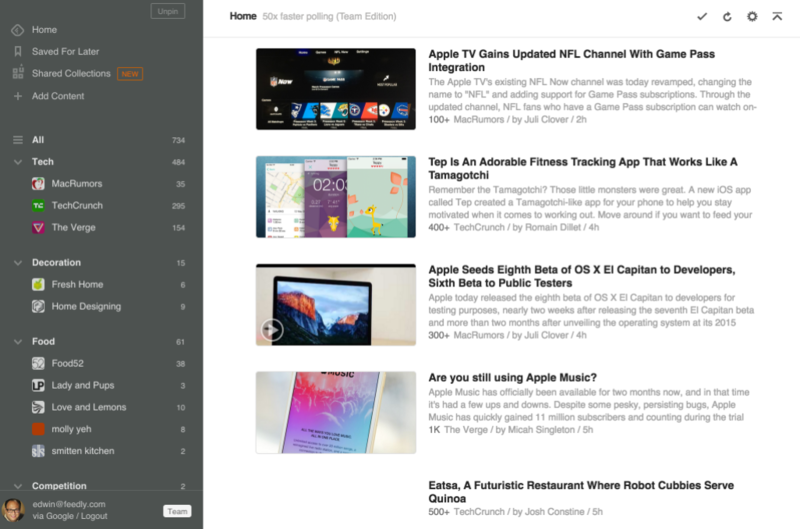 Now that you’ve seen our complete list of digital marketing tools, you’re probably hungry to get out there and try some free trials. Good! Thankfully, companies these days don’t typically ask for too much information to get your foot in the door of their platform. And who knows, you may end up finding the cost is worth the time you save–we know we’d be lost without Sprout Social. Of course, there are tons of other tools out there that might not have made our list. What digital marketing tools do you swear by? Anything that you wish existed that still isn’t out there yet? Let us know in the comments below! This post 41 Must Have Digital Marketing Tools to Help You Grow originally appeared on Sprout Social.